The construction of La Sagrada Família began in 1882. One year later, the original architect resigned and Antoni Gaudí was commissioned to redesign the Basilica. Gaudi worked on the project for 43 years, until his death in 1926. The lecture will concentrate on the six main towers envisioned as the highest points of the Basilica. Construction during the 20th Century was largely carried out in conventional stone masonry, with recent work using reinforced concrete and stone facing. However, with completion of the remaining 30% of the Basilica due in 2026, the design team have adopted a new system using pre-stressed stone panels. This marriage of new digital methods and traditional craftsmanship will dramatically reduce the weight, cost and time needed to complete the Basilica. Tristram will describe how this new technique evolved, including initial ideas, virtual prototyping, analysis, physical testing, production and assembly. 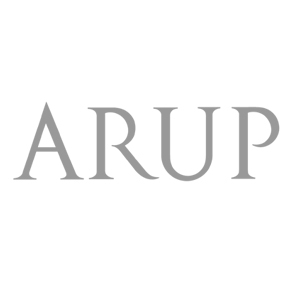 Tristram Carfrae is Arup’s Deputy Chairman. He has collaborated with world-renowned architects including Renzo Piano, Normal Foster, Philip Cox, Richard Rogers, and Thomas Heatherwick. Tristam has a reputation for challenging accepted methodologies and has contributed to the design of numerous award-winning buildings, including the Water Cube for the 2008 Beijing Olympics, the Helix Bridge in Singapore, and currently, Antoni Gaudi’s Sagrada Família. In 2014, Tristram was awarded the prestigious Gold Medal of the Institution of Structural Engineers, given to an individual for exceptional and outstanding contributions to the advancement of structural engineering.